Artist Andy Holden is currently staging his solo exhibition Maximum Irony! Maximum Sincerity! 1999-2003: Towards a Unified Theory of MI!MS at Spike Island, Bristol, developed during the period of his Stanley Picker Fellowship at Kingston University. As part of the wider MI!MS project, Holden teamed up with Roger Illingworth, childhood friend and fellow band-member from The Grubby Mitts, to revisit and rework a series of songs that they initially composed as teenagers, which were performed in Kingston upon Thames by pupils from Tiffin School Chamber Orchestra and Tiffin Children’s Chorus, the latter comprised of children from primary schools across South West London, and accompanied by readings from actor Sam Marsh. Commissioned by the Stanley Picker Gallery, the Music Of MI!MS was premiered at the Rose Theatre Kingston as part of the International Youth Arts Festival 2013, with sound recordings and film-footage of the event forming a integral part of the new exhibition, originally staged at the Zabludowicz Collection London (Autumn 2013). A limited edition CD of the live recording will be released through the Stanley Picker Gallery and Holden’s Lost Toys record label later in the year. 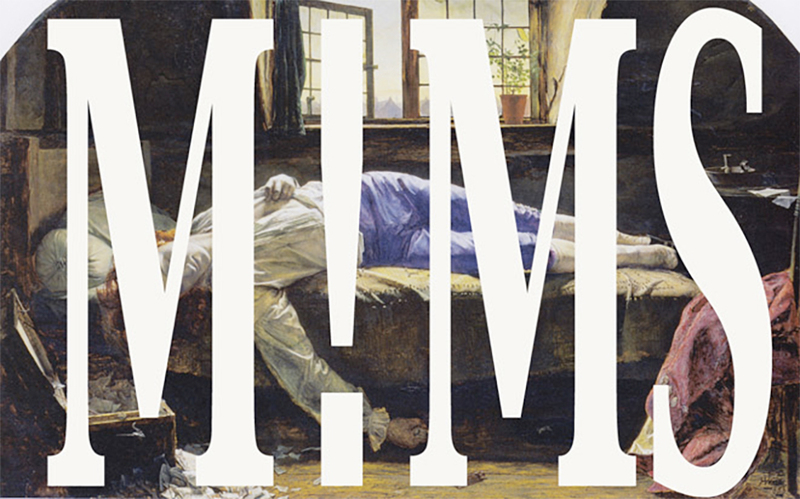 On 5 June Andy Holden will talk about MI!MS with writer and musician Bob Stanley, author of Year Yeah Yeah: The Story of Modern Pop and member of St Etienne at Spike Island.